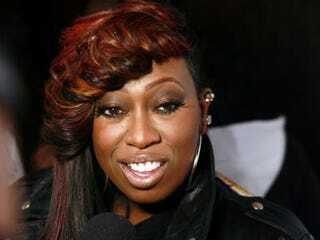 Missy Elliott has revealed that she was diagnosed in 2008 with Graves' disease, an auto-immune disorder that causes overactivity in the thyroid gland. She described to People magazine symptoms — including severe mood swings, hair loss and weight loss — that explain why she's been laying low in the music industry in recent years. "I was [driving and] trying to put my foot on the brake, but my leg was jumping. I couldn't keep the brake down and almost crashed," Elliott said. "I couldn't write because my nervous system was so bad — I couldn't even use a pen." There is no cure for Graves' disease, but Elliott says she's managed the condition through radiation treatments and exercise. "I'm 30 pounds lighter because I've been exercising," she said. "My thyroid is functioning, so I haven't had to take medication in about nine months. [But] you live with it for the rest of your life." She is also working on new music with Timbaland and will be featured on VH1's Behind the Music on June 29. Read more at BET News and People Magazine. In other news: Wimbledon: Bias Against Serena?